Jugaadu Internet: Do You Want To Upgrade Your Writer Status? Do You Want To Upgrade Your Writer Status? Iwriter has come up with an offer for those writers who think they are good and want to be fast tracked to the status of premium or elite writer in ...1 day! Normally, a freelance writer has to complete at least 30 articles as a standard writer before he can think of becoming a premium writer or elite writer. 30 reviewed articles which give him an overall average rating of 4 - 4.5 can make him a premium writer and 4.6 or more will make him an elite writer. Iwriter says that to become a premium or elite writer in a day one has to make a payment of 147$ and apply to be fast tracked to a premium or elite status. 1. What happens subsequently if the rating slips below 4.6 or 4.0? 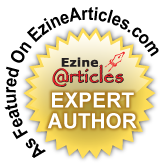 The elite writer will become a premium writer or a standard writer once again. 2. What happens if the fast track applicants score less than 4.0? I suppose they will remain standard writers. 3. The reviewof these articles will be done by iWriter whereas normally, the review is done by the those who request articles. Will they be paid for those three sample articles? If yes, at what rates? I don't think good writers will be lured by this offer but iwriter will definitely create a buzz and be able to create awareness about iwriter. The appearance of this offer does indicate that iwriter has quite a few writers but not many are active as they see the 30 article reviews before up gradation as too daunting. Some feel it is a waste of time, particularly those who think they are good writers. Iwriter may be trying to pull in the native English speaking writers to the site because the general opinion about iwriter is that it pays very less. Well, now it is up to the aspiring writers to respond to the offer or ignore it. I think most will opt to ignore because the application fee is very steep. The good writer actually loves writing, so writing 30 articles before upgradation is not too daunting a task. Writing 30 articles may not take more than a week or two for some one who is focused and keen to make some money every week.